Summer is finally here (July 2005) and so too is this collection from Motown. Forty two unreleased tracks (two bonus tracks not named on the track listing, which are dedicated to Dave Godin for his tireless work in the mid sixties for Motown as the Tamla Motown Appreciation Society) from the vaults at Motown which are getting released for the first time. 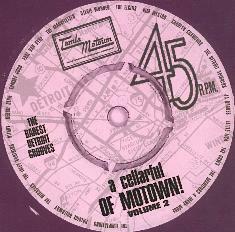 Many of the tracks are different versions of other songs released by Motown artists. But there are also many completly new tracks and the standard is very high. Thanks to those that spent hours in the Motown vaults to bring us this very interesting collection. Good booklet with track by track description recording dates etc. Issued on Tamla Motown double CD 982 929-7.